Browse > Home » What does my monthly mortgage payment include? and what does PI and PITI stand for? What does my monthly mortgage payment include? and what does PI and PITI stand for? 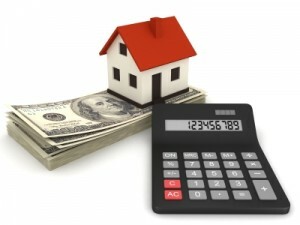 The bulk of your monthly mortgage payment goes toward paying off the principal and interest of your loan. (You may hear lenders refer to this as “PI”, for Principal & Interest). In addition, most lenders require that you pay a sufficient amount to cover your local real estate tax, plus your homeowner’s or hazard insurance. (You may hear this “total” payment referred to as “PITI”, or Principal, Interest, Taxes & Insurance.) This amount is placed in an escrow account, from which your lender then pays your tax and insurance bills as they come due. When shopping for a loan, it is important to ask the lender if the monthly payment you are being quoted is PI or PITI.